Somehow I thought they'd all be discussing poetry and dissecting cheese odors. This is absolutely correct. 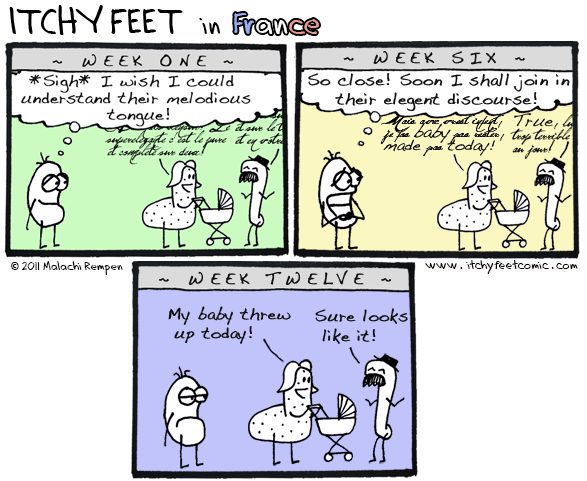 French is a very sweet language and the words sync so well each with other but it takes the longest time to be learnt.